The SeaStar Autopilot pump is a fixed flow, reversible type set that uses an internal hydraulic gear pump, producing very little vibration or noise. It is offered in 12 and 24 volt configurations, as well as two different pump sizes (type 1 & type 2). 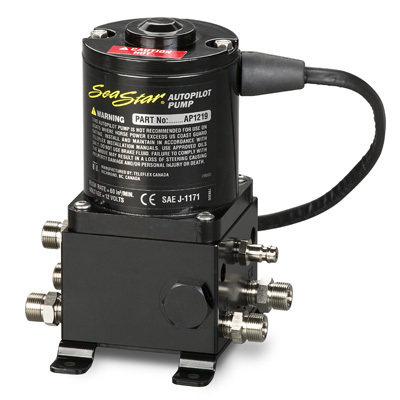 It can be used as a stand alone pilot pump or can be mounted to a previously installed SeaStar Power Assist unit and can prevent the need to break into the hydraulic lines. • Long life DC Motor (i.e. long life brushes). • ABYC, CE and J1171 compliant. 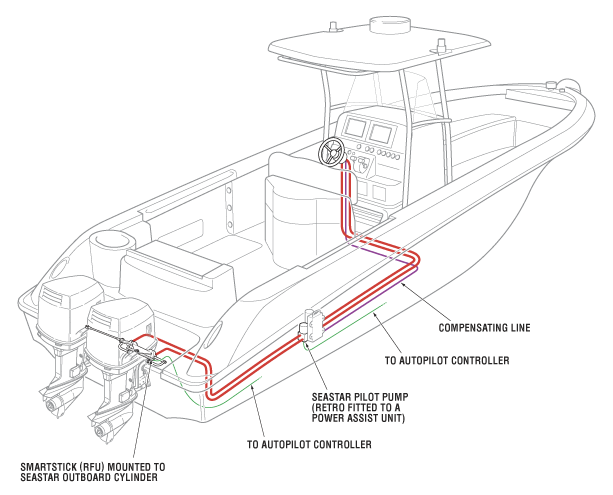 • Stand alone or mounts to SeaStar Power Assist unit. • Replaces other 12 & 24 volt pumps.